There are no words that can describe the collaborative efforts of Les Claypool, Larry LeLonde, and whatever drummer they’re currently working with better than the name of the band itself. 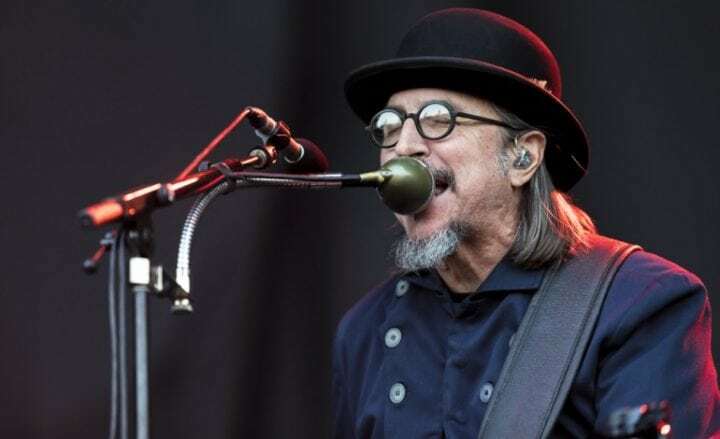 Primus, if nothing else, is a notoriously strange group, having defied traditional genre labels in their entire discography, containing elements of rock, funk, metal, blues, country, prog, jazz, and just about anything else that Claypool can slap together on his standard Wal bass. Primus’s new album, “The Desaturating Seven,” which was released last week, is their first album of solely original material since their 2011 “Green Naugahyde,” and their first album since the Willy Wonka tribute “Primus and The Chocolate Factory” from 2014. Much like “Primus and the Chocolate Factory,” “The Desaturating Seven” pays homage to a previously established work, in this instance, the much less mainstream Italian children’s book “The Rainbow Goblins” by Ul de Rico. The work by Primus, as it is based off a preexisting story, is a concept album loosely following the structure of the de Rico plotline, though taking some artistic liberties in creating a standalone experimental album. Given Primus’s tendency to venture into the weirder, unattempted parts of the style that can only be considered Primus, it’s difficult to determine the exact concept of the album. While it does take inspiration from “The Rainbow Goblins,” it takes its own interpretation, and has a fairly logical flow, beginning with a standard introduction of characters in the first two tracks, following a natural climax and institution of a problem in the middle three, and concluding expectedly in the final two; telling an almost Tolkien-inspired story in a relatively short thirty-five minutes. Stylistically, the album could be considered progressive rock, clearly drawing inspiration from late 70’s Rush in terms of general structure, and Led Zeppelin in string arrangement. Songs such as “The Seven” and “The Trek” also seem to be directly inspired by “Discipline”-era King Crimson, though maintaining Primus’s signature sound of strong, amelodic and bass-driven melodies, with Claypool’s borderline unbearable vocals flowing perfectly. 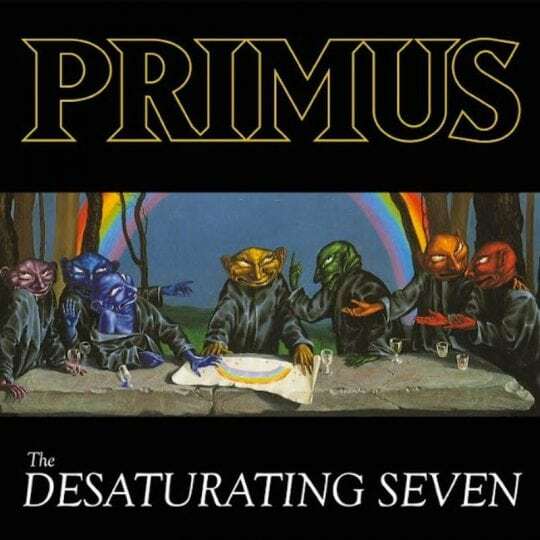 It is fair to say that “The Desaturating Seven” is Primus’s most melodic album to date, though it is still a Primus album, and probably shouldn’t be approached by a casual listener. As always, for fans of Primus, such as myself, their ninth album is an excellent addition to their discography, and is as much a brand new production as it is a classic album by the weirdest band in existence. Is Music less Distracting when you’re Young?